Rob Rebak is the President and CEO of AbleTo, Inc., a technology-enabled provider of behavioral healthcare. A 25-year health industry veteran, Rob most recently served as President, Consumer Solutions for Sharecare, a health and wellness patient engagement platform. He joined Sharecare through its acquisition of QualityHealth, a patient acquisition platform, where he was Chairman and Chief Executive Officer. 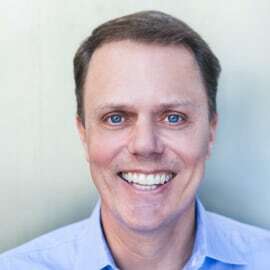 Rob also previously served as Chief Executive Officer of ParentingTeensNetwork and as Managing Partner of Rosetta, which was later acquired by Publicis. He joined Rosetta through its acquisition of SimStar, where he served as President. Earlier in his career, Rob spent 10 years in a range of commercial roles at Pfizer, Merck, and Bristol-Myers Squibb. Rob holds an M.B.A. in Finance and Marketing from the University of Chicago Booth School of Business and a B.A. in History and Economics from Vanderbilt University.